NEJKRÁSNĚJŠÍ FENA WHWT KCHT ZA ROK 2011 - 1.místo, v plemeni celkové 2. místo!!! 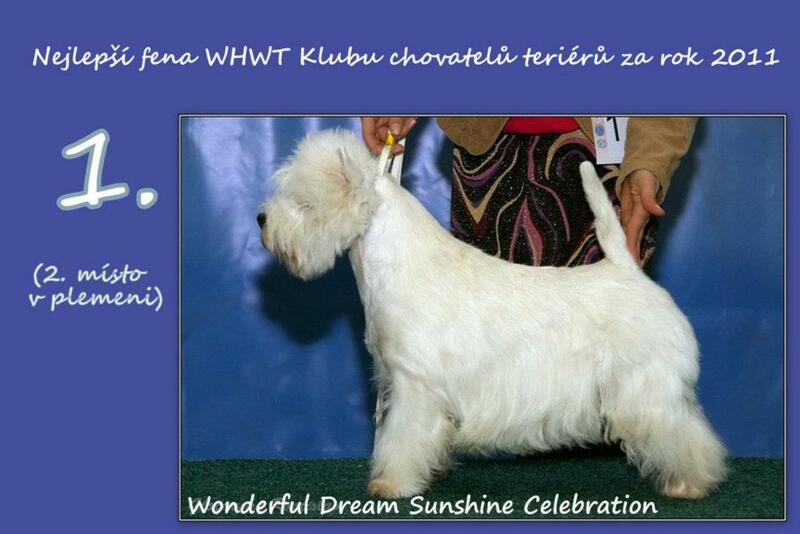 TOP WHWT female of Czech terrier club for year 2011 - first place, the second place in breed!! !